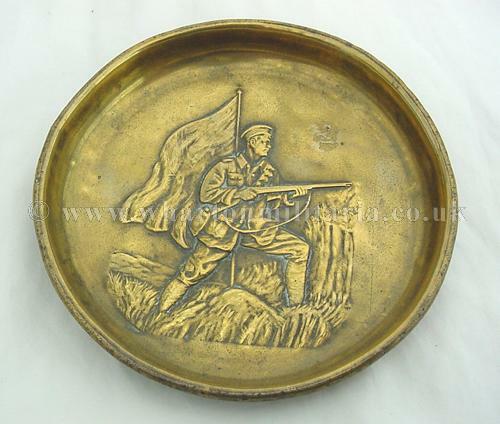 A fine WW1 patriotic brass ashtray showing a soldier surging forward, flag flying etc. Very typical of these early commemorative pieces, in excellent condition, approx 5 inches diameter. A nice item.